Are separation and divorce the same? Does moving out count as being separated? What is the importance of separation? The quick version is that legal separation sets many of the boundaries and procedures of a divorce while still granting the legal benefits of marriage. It's also important to know that many states require that you file for a legal separation before filing for divorce. A separation agreement is a legal agreement between a husband and wife when they wish to separate from each other, but aren’t yet sure if they want to get a divorce. A separation agreement can only be obtained if both parties willingly sign the agreement. Although it’s not the same as getting a divorce, it is a legal and binding contract that deals with much of the same issues that you’d see in a divorce case. The one major difference between a separation agreement and a divorce is that the couple may be living apart but are still legally married. 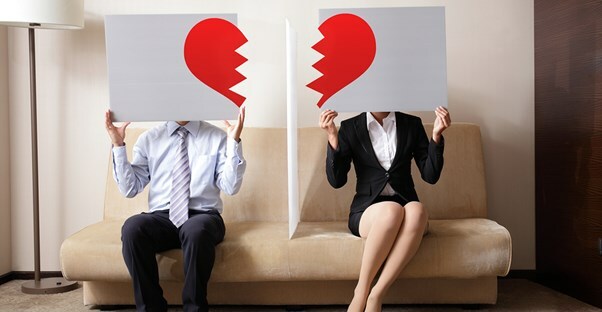 Although the couple is still legally considered married, a separation agreement changes many things, such as what is or is not community property. Generally, the couple sign documents stating who will pay what debts and who retains ownership of assets such as money, real estate, or personal property. From the day the separation agreement is signed, any assets or income a spouse obtains remain their own property and not part of marital property. However, each state has its own laws regarding community property and debt division, so be sure to check with your local officials. For many couples, one of the most important features of a legal separation (instead of just getting separate apartments) is that it sets up rules for custody. The laws regarding child support or custody are the same as divorce custody laws. Although a separation agreement is often considered a temporary court order, it can go on indefinitely or until both parties decide to reconcile or get a divorce. When is Legal Separation A Good Option? For many couples, a legal separation allows them both the benefits of divorce and the benefits of staying married. If the couple decides, after a certain amount of time, that they want to get a divorce, they can just have the separation agreement converted to a divorce agreement. On the other hand, if they decide to reconcile, they only have to cancel the separation agreement. Separation agreements are a good idea if the spouse, or any children they may have, need health insurance that is only carried by one of the parties. Legal separation is also a good decision if the couple wishes to save money on income tax by continuing to file joint income tax returns. If one party is in the military, the other spouse can still benefit from military benefits if they’re legally separated as opposed to losing the benefit if they divorce. A separation agreement is best used as a limbo between marriage and divorce to consider your options. If the marriage is ending due to particularly rough circumstances, like abuse or other irreconcilable issues, then a separation agreement is not going to be the best route. Even if both parties are getting along fine, if one partner decides to remarry, a separation agreement won't cut it.